Everytime I would drive or walk by or patron this restaurant, I immediately felt transported to New York City--the bistro-like setting, the dark wood storefront with long windows and "wine and cheese" etched in the glass window, and the inviting signage. For those who know me, I love cats, especially black cats, and I appreciate jazz music. 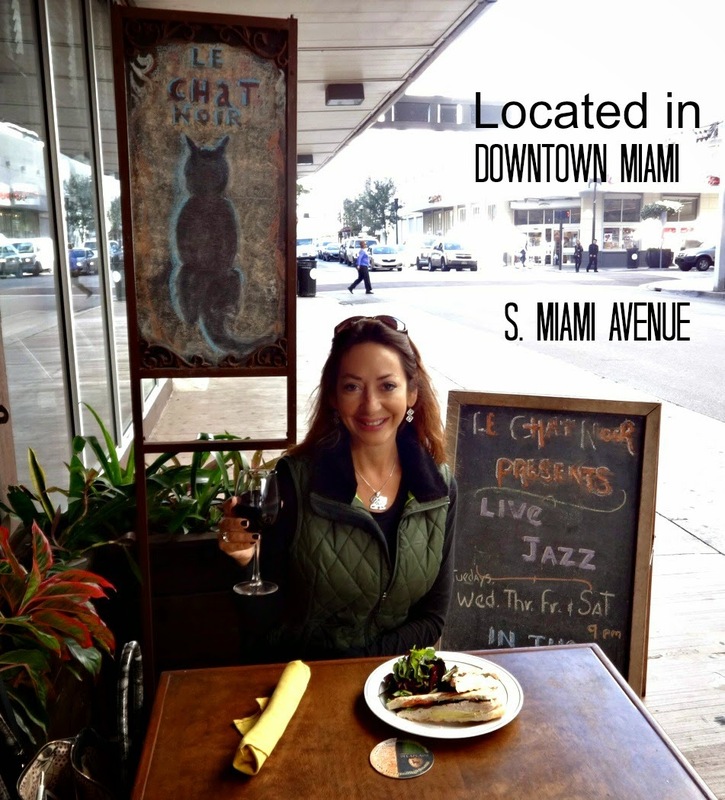 Le Chat Noir offers live jazz music in a wine cellar! What's the big deal or "novedad" as they say in Spanish? Read on! If the name rings a bell, that is because "Le Chat Noir" is the name of the first modern cabaret which opened in Paris in 1881 by impresario Rodolphe Solis. This 19th century establishment introduced a place where guests could sit at tables, drink wine and enjoy a variety of stage shows with a master of ceremonies that interacted with regular guests. 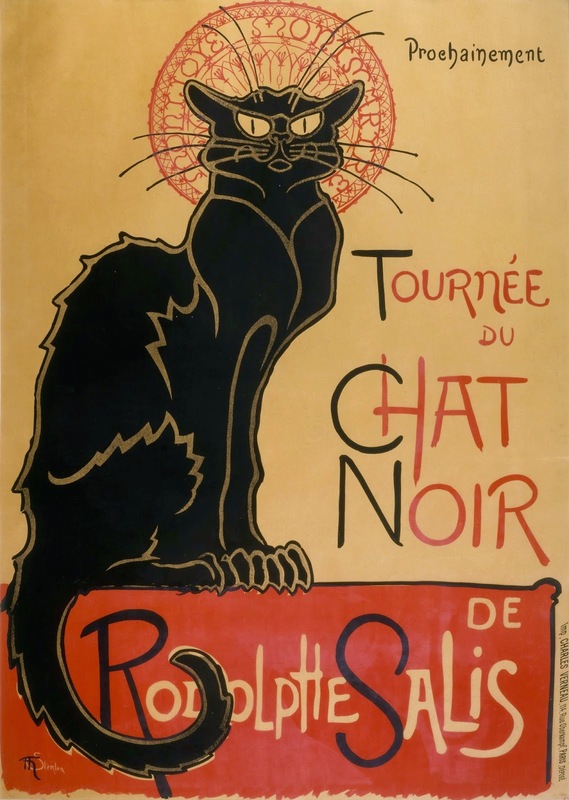 But the name "Le Chat Noir" is most known for the iconic poster by artist Theophile-Alexandre Steinlen featuring a black cat. Immediately I wondered as a marketing professional if the name was trademarked internationally. Did the current owner have the rights to use the name? Well as I dined alone for lunch, the manager, Giovanni readily kept me company and cured my curiosity. The owner is Alexis Salis, a great, great grandson of Rodolphe Salis. That explains a lot! I had met Alexis on prior visits but now I was anxious to speak with him further. Unfortunately he was not in that late afternoon, but no doubt I would return for an evening of live jazz music. Outside the front door, a painting of a blues jazz black cat signaled of what to expect-- a dark mahogany interior, shades of burgundy and orange, piano notes, and a staircase leading to the wine cellar and the "action". As it was daytime, around 4pm, the live jazz music was scheduled for later in the evening. But this historical tale is not over. A bright yellow sign is permanently affixed to the front window. This establishment was a designated bomb shelter in the 1960s in preparation for a possible war. The current wine cellar was the protective bunker for locals. There were very few "basements" in Miami and I wonder the origins of the building. Another project to add to my list of historical research! For the moment I wanted to take a break, enjoy a small meal, glass of wine and absorb the ambience, the perfect escape from the everyday bustle. As I was about to leave, two gentleman sat down at the opposing outdoor table smoking cigars. The talkative and amiable Italian manager greeted them as regulars and introductions were made. Miami continues to grow as a cosmopolitan city attracting visitors from around the world. 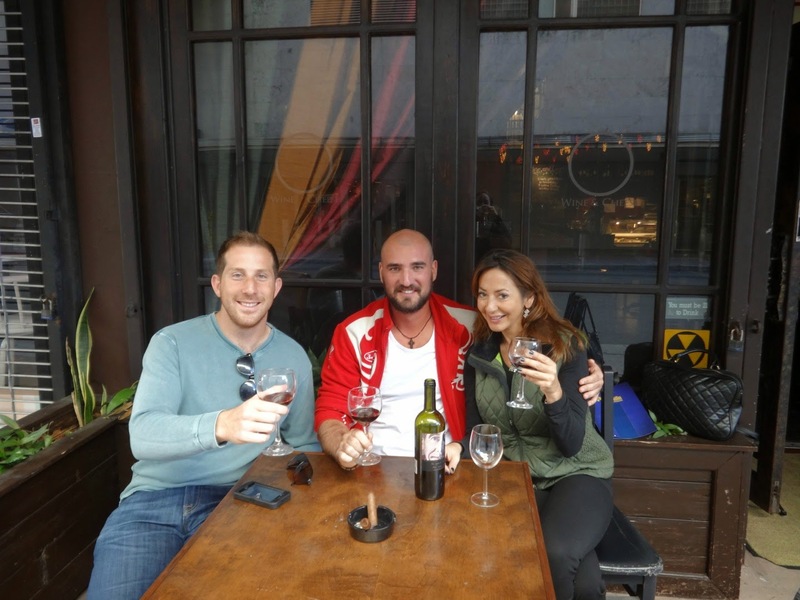 Phil Katz is a native Miamian (a rarity) and Zhenja Prokhorenko is former professional tennis player from Russia. New friendships were made. 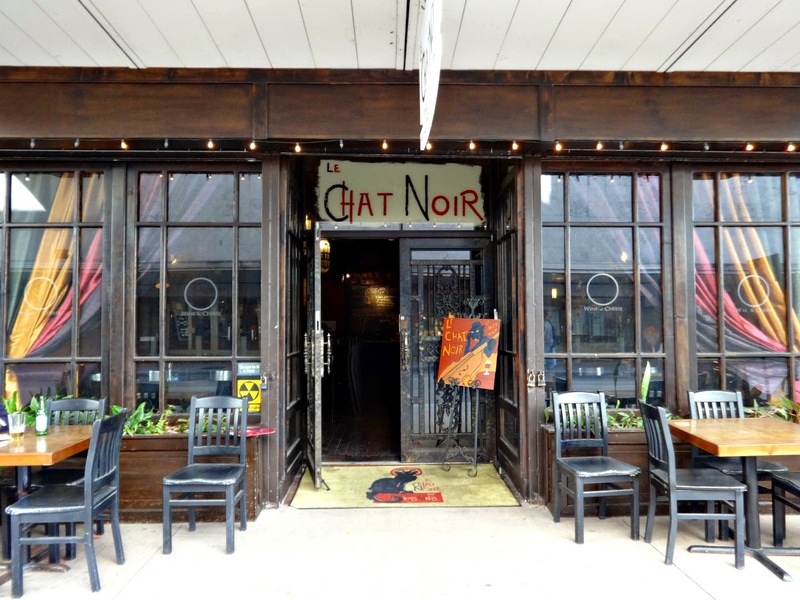 I plan to return to Le Chat Noir one evening for jazz music and more wine. Be sure to visit for lunch or evening entertainment. And ladies, if you visit in daytime, warning! There's a Macy's directly across the street. 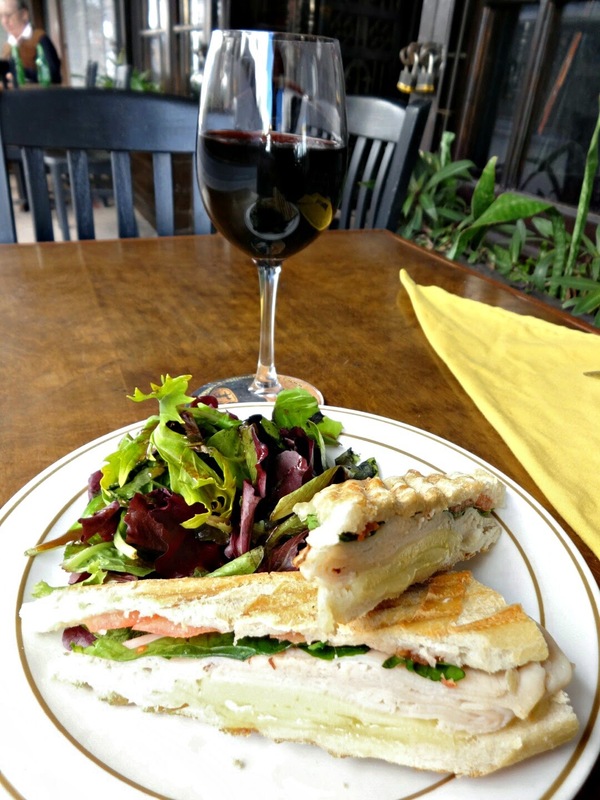 Here's to charming bistros, good wine, food, and company; and great jazz music at night!